Q: Do you provide architectural services? A: We are not an architectural company, but we can most definitely help you select an architect from some of the many excellent firms we've worked with over the past 30+ years. 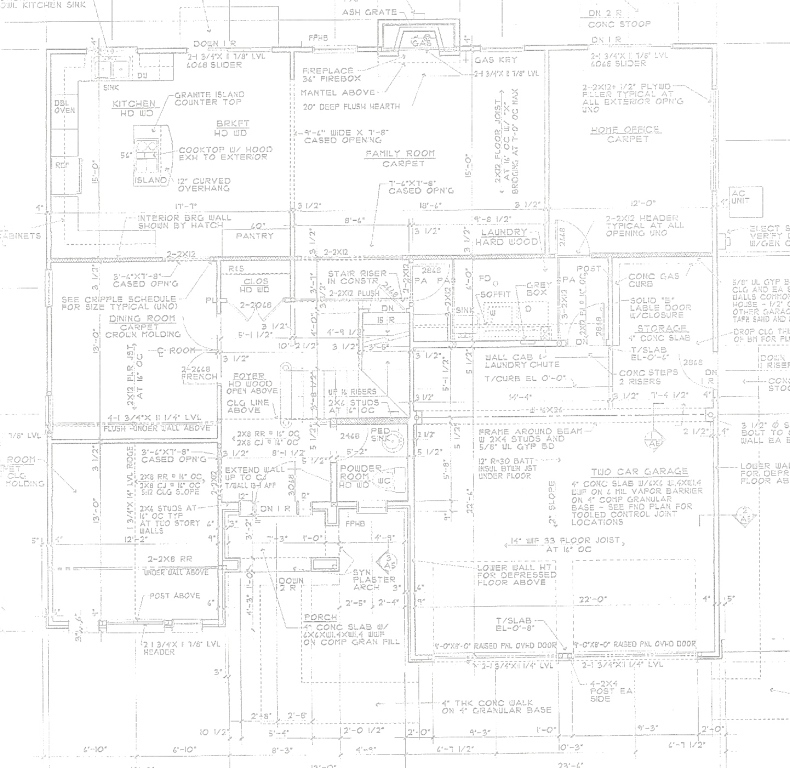 Even if you’re currently having plans drawn, let Cornerstone Management, Inc. assist you with the Architectural Review while your plans are being prepared. Don’t make the common mistake of letting someone else over-design your home for your construction budget. We are here to answer all of your cost-related questions, to keep your project on track and on schedule! Q: If I want to “tear down” or retrofit my own home, will my bank give me the loan I need? A: Sometimes. Most lenders today are skeptical to make construction loans directly to owners without the administration of an experienced Construction Manager or General Contractor to oversee the work and the finances to give them the assurance that the project can be completed on time and on budget. That’s where we can be of assistance. We have a verifiable track record of time and money management that will set your lender at ease. Q: Can I work on the project myself? A: Sure! We can organize your work force and integrate it with ours giving you the support and direction you will need! Q: Does my home need to be paid for before I begin construction? A: No. There are many financing packages currently on the market today that can allow you up to 80% of the “market value” of the new project. It would be as if you purchased one of the “tear downs” that you see in your neighborhood now, only for far less money because you own the lot! A: Sure. On a Streamlined 203k you can do most any work on the project that doesn’t require that you be a licensed contractor and reduce your loan amount! Q: Can I use the 203k for just remodeling and updating my home? A: Yes. When you refinance using the 203k Streamline program you can add that new kitchen, windows, insulation and any general repairs. Q: Can I use it for an addition to my home? A: Sure. It makes sense to improve your home rather than sell it in the current market. This way you’re not losing your equity when you go to sell in the future. Q: Can I use the FHA 203k to purchase a foreclosure, short sale or bank owned property? A: Yes. As long as it’s owner occupied and you intend to keep it for three years. Q: I’ve heard that these types of loans are troublesome, is that true? A: No. Most of the individuals and professionals that say that don’t understand the program or how to use it. That’s why it’s best to start out with a team that has experience, starting with a 203k Consultant to help you build your team!